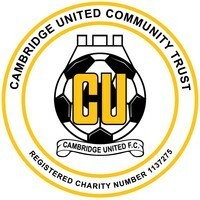 Ben Szreter, CEO of CUCT explains: Cambridge United Community Trust are proud to support Kick It Out, a charity which campaigns for the end of any discrimination in our beautiful game. We are firmly behind their key message that football must be a sport where all people can flourish in a supportive community. The ‘Let’s Kick Racism Out of Football’ campaign was established in 1993 in response to widespread calls from clubs, players and fans to tackle racist attitudes existing within the game. Kick It Out was then established as a body in 1997 as it widened out its objectives to cover all aspects of discrimination, inequality and exclusion. We’re delighted to announce that our annual Kick It Out matchday will take place against Colchester United on the 30th March! In adwance of the match we will be delivering assemblies to over 8,000 young people sharing the message of how we can all do our bit to tackle discrimination.